It comes as a surprise, then, to learn that the history of physics is littered with (a) inconsistencies going unnoticed for 10s, or even 100s, of years, (b) inconsistencies which are noticed but which are tolerated, and (c) scientific concepts which seem to be self-contradictory. We find all of these things not in the dark corners of science, but instead in some of the most prominent theories, and put forward by ‘great scientific minds’. If we really want to be able to judge the trustworthiness of scientific claims, it turns out Popper’s method of ruling out all inconsistencies is far too crude. Inconsistency and science often can go hand in hand. One can start to make sense of this by noting that, although inconsistency rules out any chance of truth, a large part of science is not about ‘the truth’. Instead science is predominantly about ‘getting results’. Oliver Heaviside put it best in 1899: “Shall I refuse my dinner because I do not fully understand the processes of digestion? No, not if I am satisfied with the result. . . . First, get on, in any way possible, and let the logic be left for later work.” What does ‘getting on’ in science mean, if not trying to determine the true nature of reality? Don’t we want to know what really killed off the dinosaurs, what ‘dark energy’ really is, and so on? The answer is ‘yes and no’. Sometimes truth drives scientists, but often they are more than happy to solve some outstanding problem, or make a useful prediction. Often, the word ‘truth’ is left out of science completely – left for the philosophers to think out. The early calculus is a prime example of how a certain inconsistency in one’s thinking is neither here nor there if one is ‘getting results’. The eminent Swiss mathematician Johann Bernoulli was one of the great mathematical minds of his age, and yet in an important essay written in 1691 he stated: “A quantity, which is diminished or increased by an infinitely small quantity, is neither diminished nor increased.” For most of his contemporaries (especially Bishop George Berkeley! ), this sort of thinking was plain contradiction, or at least ‘incomprehensible metaphysics’. Nonetheless, Bernoulli and others found an appeal to ‘infinitely small quantities’ extremely useful for solving mathematical problems which had eluded the best minds for centuries. As Heaviside would recommend, he had found a way to ‘get on’, and was ‘leaving the logic for later work’. A nice example to bring this to life is Gustav Kirchhoff’s theory of the diffraction of light at an aperture – a case that has puzzled scientists for more than a century. 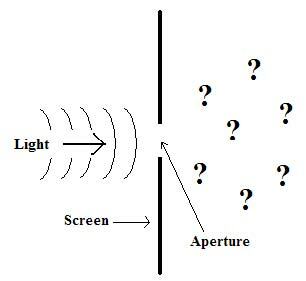 In his reasoning Kirchhoff made an assumption concerning the behaviour of incident light within the aperture of a plane screen. But Kirchhoff’s conclusions contradict this very assumption! How then can this be useful, or trustworthy, science? The truth is, Kirchhoff’s conclusions are extremely accurate and useful in a great many respects; so long as one is careful about the ‘respects’, one can trust the predictions. And this needn’t be surprising, since Kirchhoff’s starting assumptions, despite being somehow inconsistent, are also largely approximately true. The final lesson is this: if one starts with false assumptions one can no doubt reach false conclusions. But often one can also reach useful, or even true conclusions. It all depends on how one goes about using them. 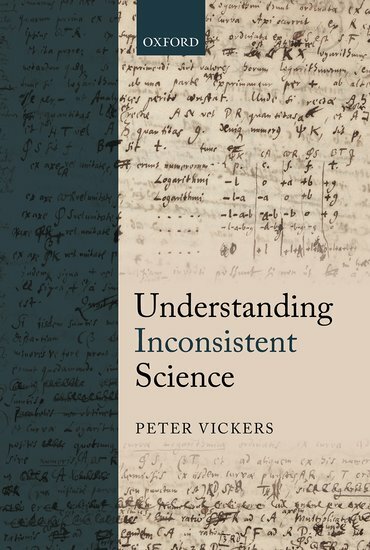 Peter Vickers completed his undergraduate BSc in Mathematics and Philosophy at the University of York in 2003. This was followed by an MA in History and Philosophy of Science at the University of Leeds, completed in 2005, and a PhD in the history and philosophy of science, also at the University of Leeds in 2009. Following a year teaching at Leeds, Vickers spent a year as a Postdoctoral Fellow at the Center for Philosophy of Science at the University of Pittsburgh, before returning to the UK in 2011 as a Lecturer in Philosophy at Durham University. He is the author of Understanding Inconsistent Science. Subscribe to only philosophy articles on the OUPblog via email or RSS. Image credits: (1) Karl Popper in the 1980s. By LSELibrary [no known copyright restrictions], via Wikimedia Commons; (2) Supplied by the author.